Master your gem grabbing skills in Pickaxe Plunder - endless arcade mining! Sort and combo magical minerals as they fly past on a conveyer belt to become the richest gem miner of all time. - Smash potions and cast spells to enchant your shiny stones. - Blow the great horn to lift money right out of the dirt. - Bury yourself in sparkling gems as you fill your hoard to the brim. Rubies, sapphires and emeralds await you, grab your pickaxe and get cracking! 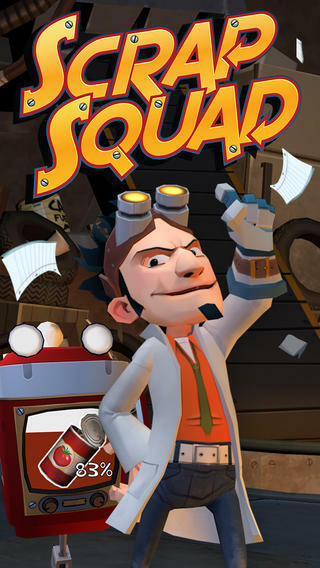 Scrap Squad puts players in the role of a mad scientist in a frantically fun-on-the-run action game. Players start out with a secret lab, a few clunker robots and a simple mission to match up falling objects, which those robots haul away and turn into cash to finance your nefarious plans. 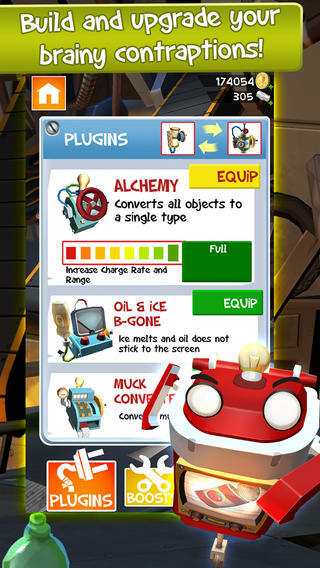 The trash treadmill soon speeds up, challenging the player to upgrade his army of 'bots to become faster and more efficient. 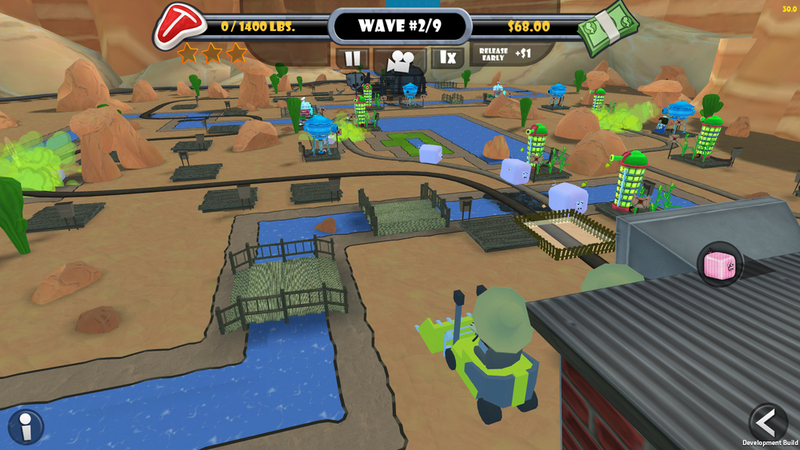 As players earn more and more money, they can unlock tons of upgrades - making them the envy of mad men everywhere! COMING SOON! Manage your ever growing network of carrier pigeons delivering packages around the world! Fight for people's rights and protect the world's population from the forces of evil! Freedom Flock centers around designing and managing a global delivery network, overcoming challenges through an extensive campaign. 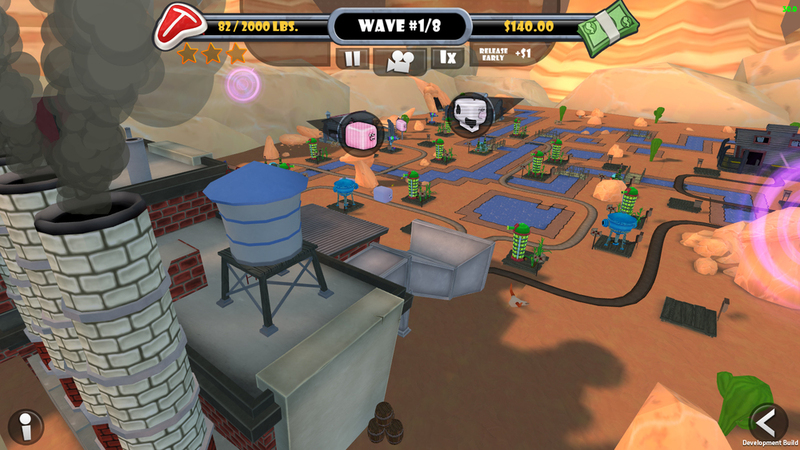 Fat Chicken is a REVERSE TOWER DEFENSE game where you fatten up farm animals for slaughter by pumping them full of hormones, overfeeding them and basting them with antibiotics to keep them alive so they're worth more when you turn 'em into tasty, tasty packaged meat...it's what's for dinner! Tailspin worked with this existing mobile game to bring it to PC by improving lighting, adding PC specific user options, refinements to tutorial and general performance optimization.